I've had the opportunity to work with so many diverse production companies and organizations with fast-paced atmosphere and strict deadlines. Three years of professional experience along with a lifetime of hands-on editing and creating has given me the knowledge and work ethic to thrive in this industry. In 2-weeks he's raised $10,000 and hopes to expand to more platform soon. Lee Nasehi opens up about finding support at Lighthouse Central Florida. 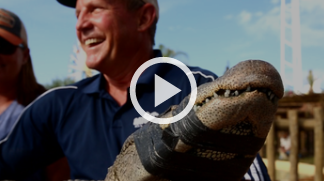 Gatorland and Fun Spot are teaming up to bring a new attraction to vacationers. If they wanted to gain the privilege of training the dogs, they would have to care for the animals around the clock. 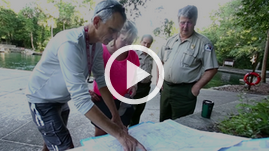 Of all things to do on Earth Day, how about taking your boss's boss for a paddle down the Wekiva River? 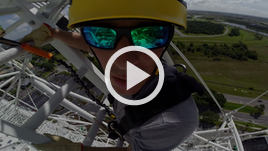 Orange County special operations is testing rescue procedures atop the Orlando Eye.